Overwatch’s newest hero, Orisa, isn’t what you’d call, er, typical. She’s a quadrupedal robo-tank with horns, and she kinda came out of nowhere. In creating her, Blizzard faced some unique challenges. During a recent GDC session, Overwatch lead writer Michael Chu discussed Orisa’s conception. This dovetails with a comment from Jeff Kaplan earlier this week where he said that Blizzard wanted to do something outside the box with a female character, as opposed to going with the usual slim femme look. Blizzard didn’t want Orisa to be like Overwatch’s other robots, either. Her personality, Chu said during the panel, would be somewhere between Robocop and GlaDOS. She’d have a technological edge on old-timers like Bastion and Zenyatta. 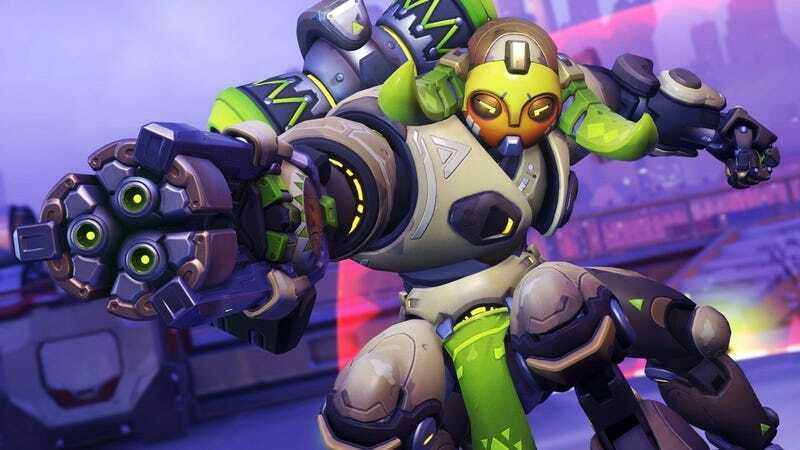 Between those very particular personality quirks and a design that’s less reminiscent of any particular animal and more akin to the entire animal kingdom, Orisa was... complicated. That, Chu said, quickly became a problem. Enter Efi, a character who initially seemed like a curveball, given that she was the focus of the build up to Orisa’s reveal despite not being, you know, a hero. Chu said she was created not as a hype campaign smokescreen, but to bring Orisa’s disparate elements together. “Grounding the character in a perspective you could relate to helped us figure out this very high-concept character and relate to her,” he added. For all the personality complications Orisa brought to the table, there was one area where she pretty immediately made sense: in-game.